What we have For Sale, right now. Ordering & Delivery Information can also be found at the bottom of this page. 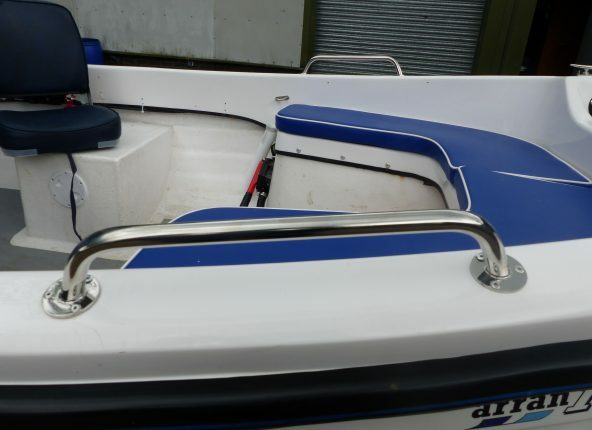 New Arran 16 open boat for sale £5495. 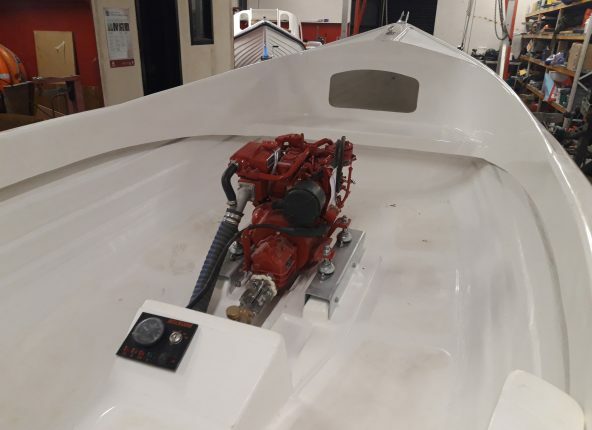 Price includes 316 stainless steel bilge and keel bands, bow roller, large fore deck cleat, rear aft cleats, fendering, bow and rear corner protectors,inner and outer transom plates, and seat boxes. 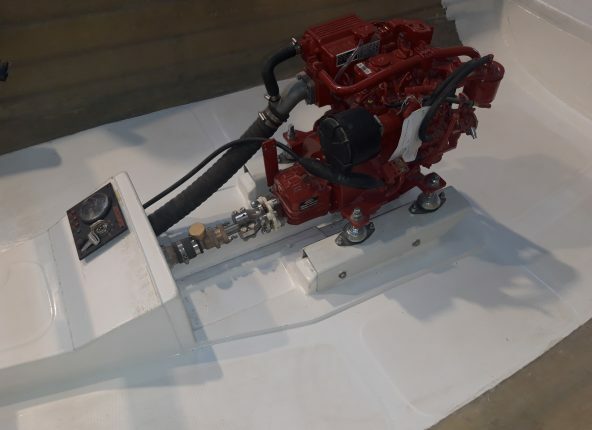 9.8hp 4 stroke longshaft Tohatsu tiller steer electric start engine. 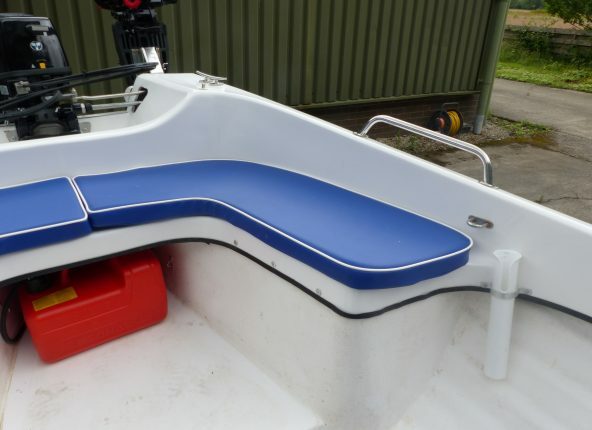 Boat, Cuddy, Cover, 2 x swivel seats, 4 x grab rails. 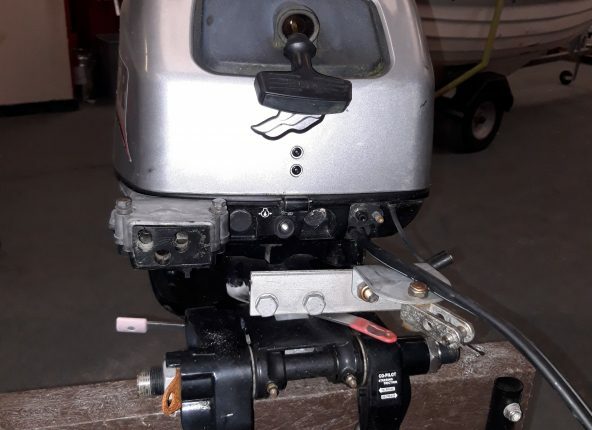 Tohatsu 9.8hp 4 stroke electric start longshaft engine on full remotes. 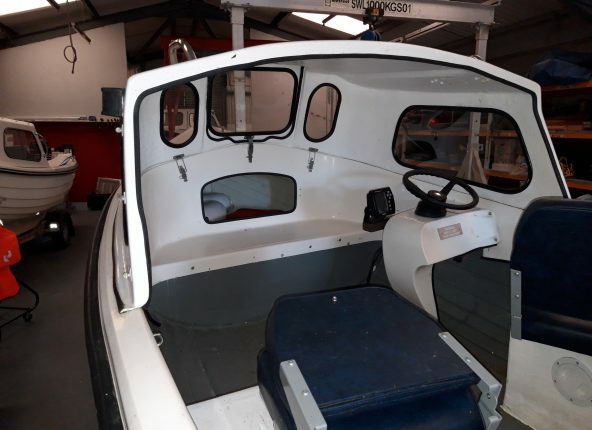 Price includes Steering Console, wheel and helm,4 x Grab Rails, Battery and Box all fully fitted.Mercia roller or bunked trailer. Three part cushion set for the Arran 16. 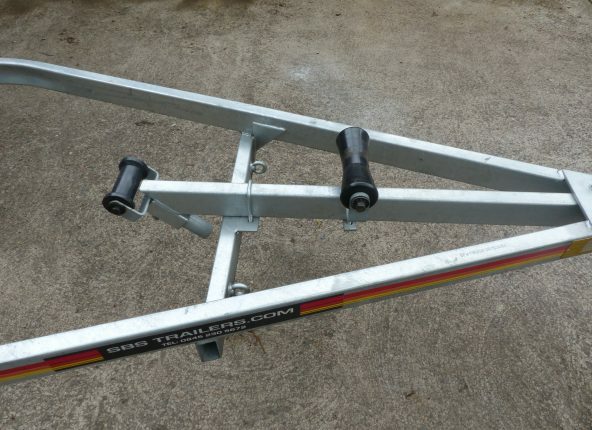 These will fit both the outboard and diesel inboard boat. 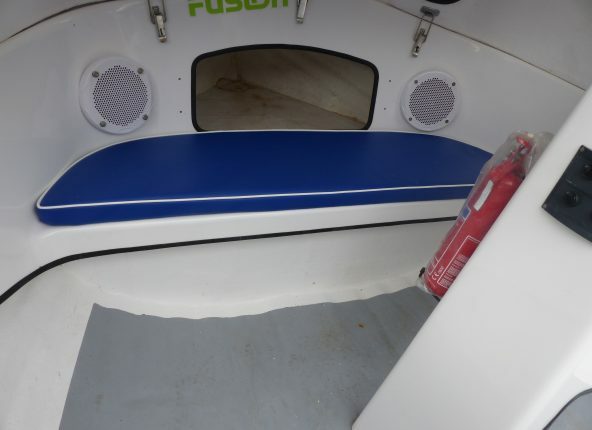 The forward seat is covered by one cushion and the rear by two cushions. Available in blue with white piping. 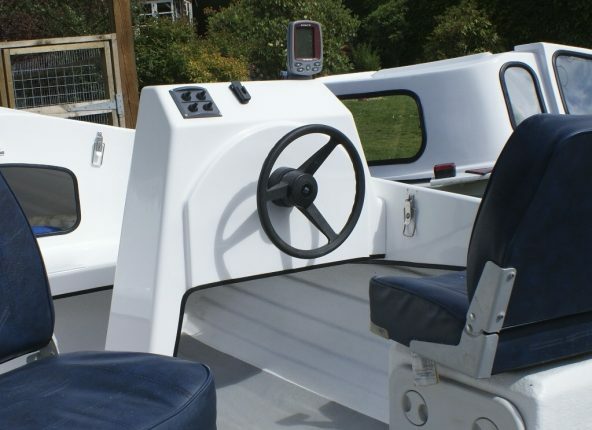 Steering Console for the Arran 16 which also fits an Orkney Longliner. 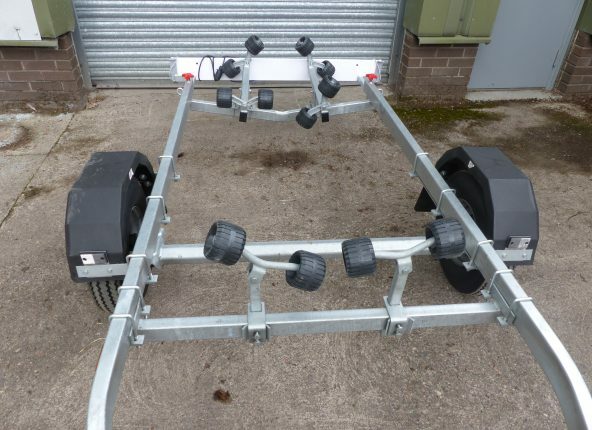 I will take some pictures of the Mercia trailers the above pictures are of the SBS range. 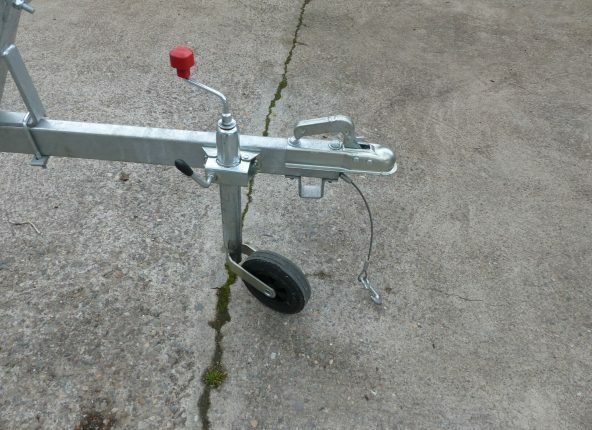 lighting board, adjustable winch post. 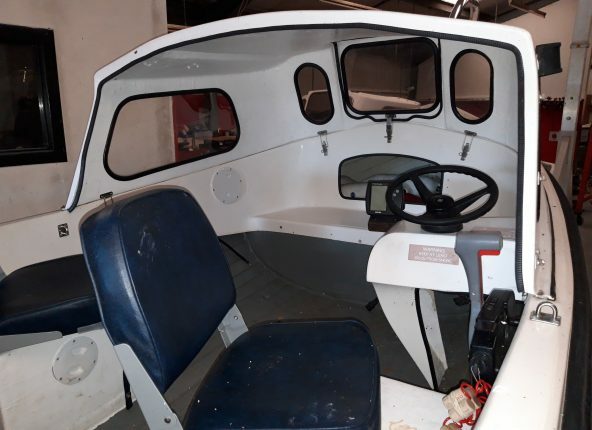 Vimar Aquarius 14 ft fishing boat. 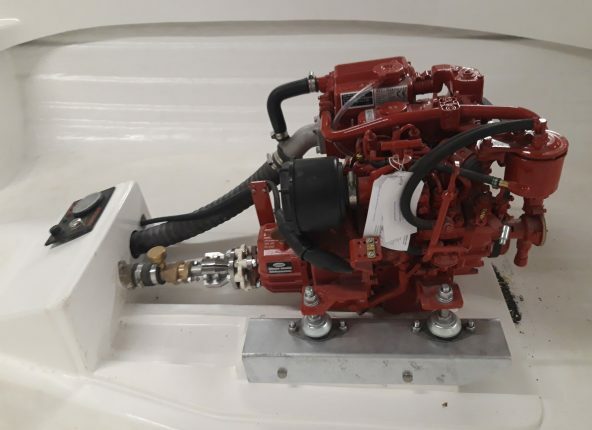 Takes a max 6hp longshaft engine. 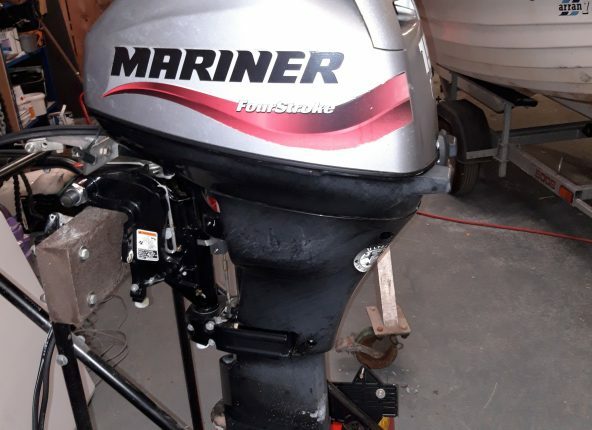 2008 Mariner 15hp, 4 stroke, electric start, longshaft, manual tilt , outboard. Light freshwater use only on an Arran 16. 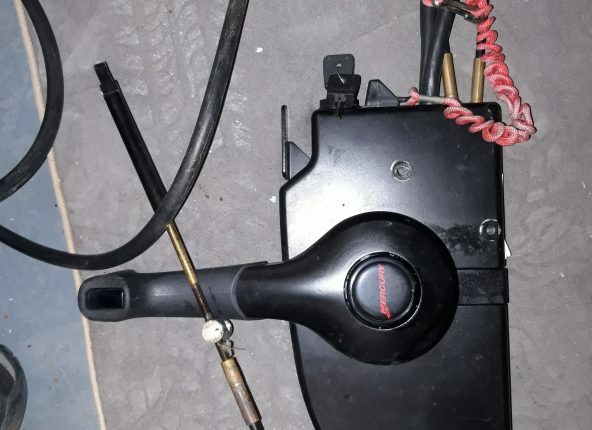 Comes with tank and line remote control box and 13ft cables. 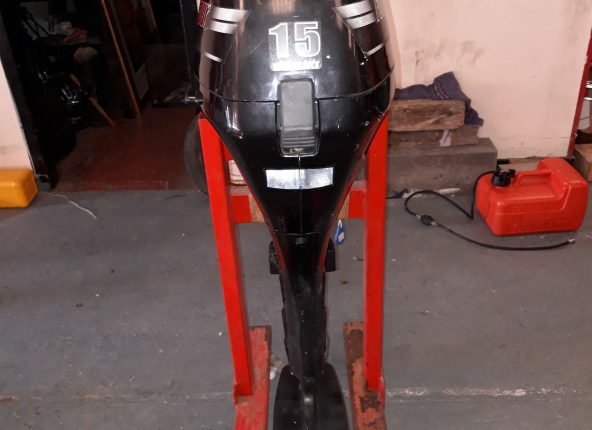 Remote control box and 13ft cables. Pre 2000 Arran 16 with cuddy and cover. 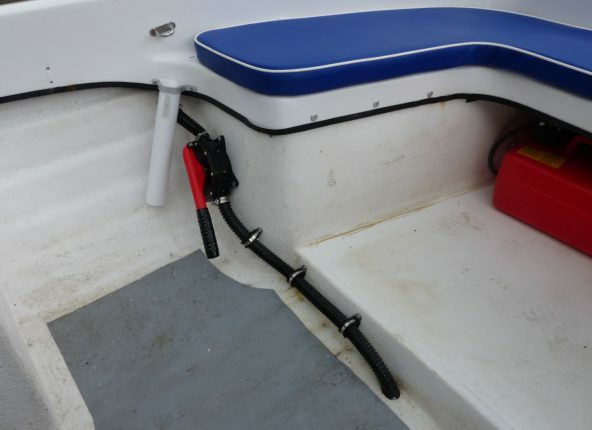 Fitted with bilge pump aux engine bracket fish finder and grab rails. 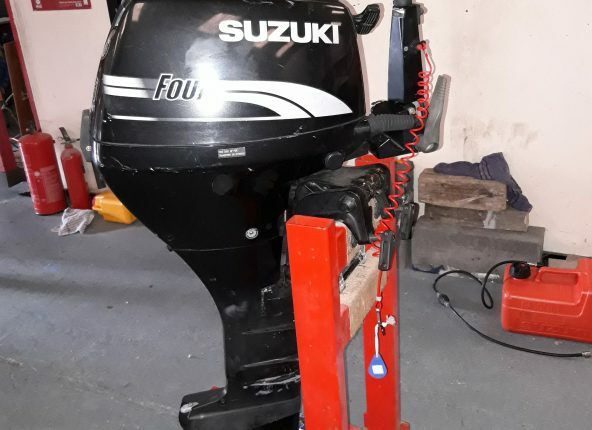 Powered by Suzuki 9.9hp longshaft 4 stroke electric start engine on remotes. 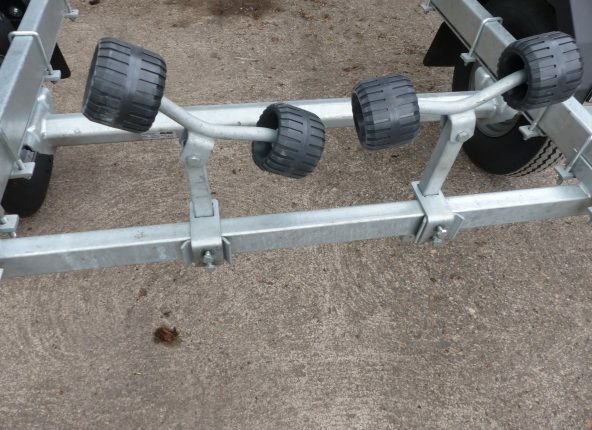 Presently sat on a launching trailer which needs some work for use on a road. Its just come off Loch Earn so needs a clean. 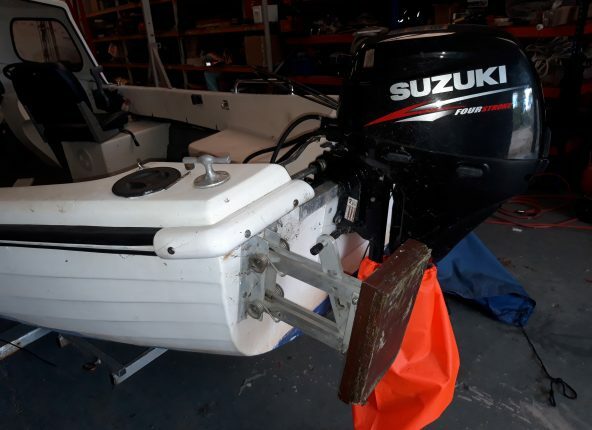 Boat will be cleaned and anti fouled before sale. 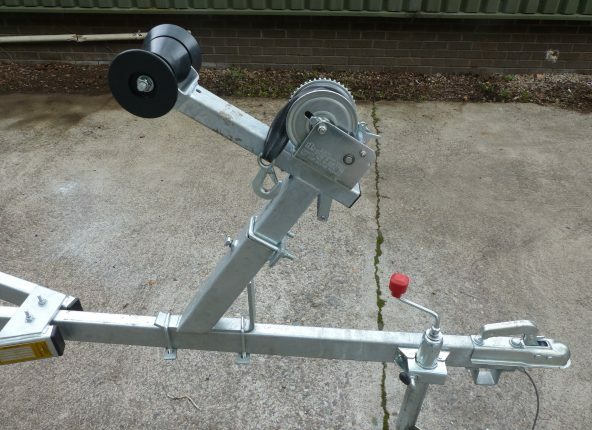 boat, cuddy, cover, trailer, engine, aux engine bracket fish finder, bilge pump and trailer. 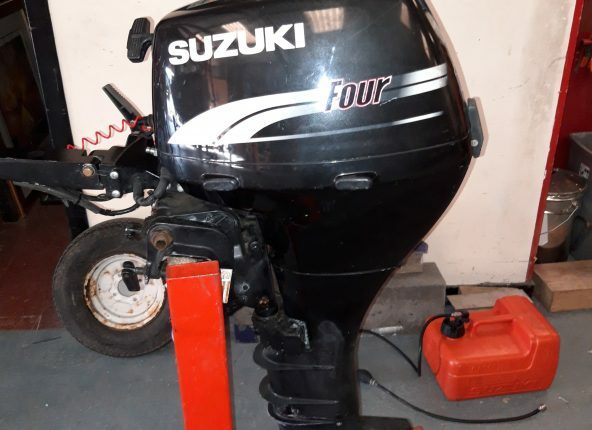 Suzuki 15hp longshaft 4 stroke tiller steer manual start outboard engine. 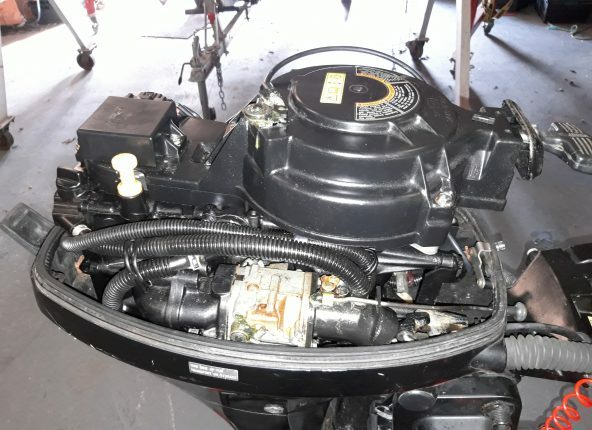 Engines in good condition pumps water well and has a good prop. 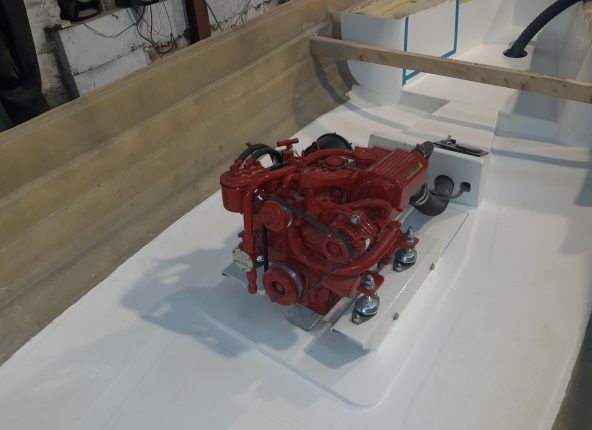 At last we are finally progressing with the re-introduction of the Arran 16 diesel inboard boat. 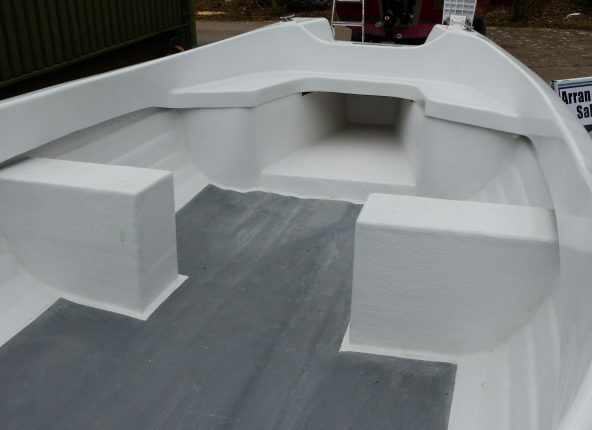 The pictures above show the first boat during construction. 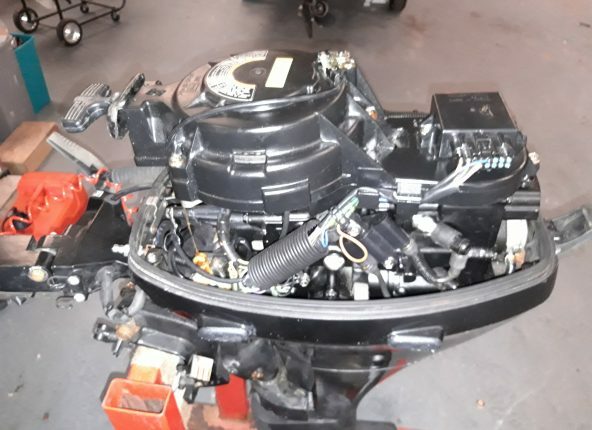 Its fitted with a 14hp twin cylinder Beta marine Diesel engine. 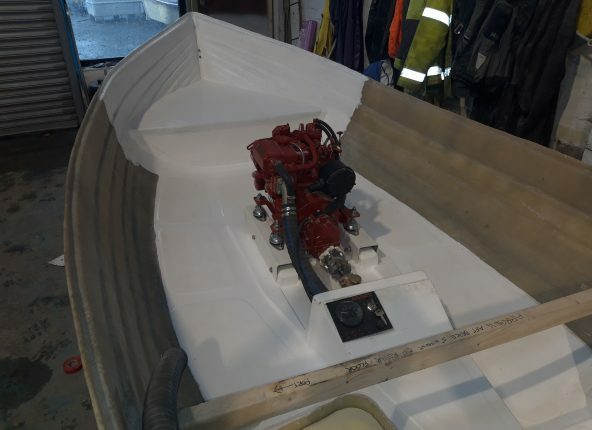 I hope to have the boat completed for early next year. Anybody interested please feel free to contact me. 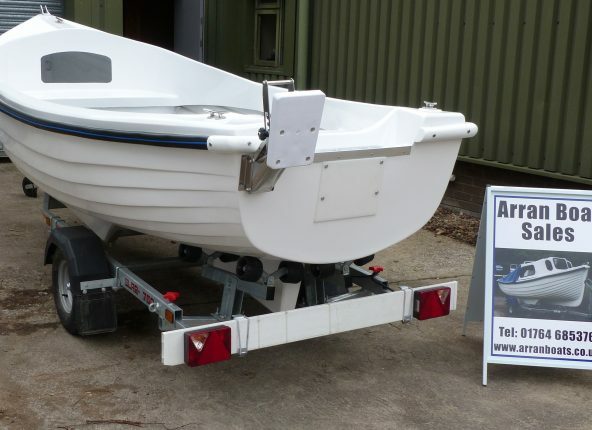 As well as manufacturing new boats, Arran Boat Sales also buys and sells second-hand Arran 16s, as well as specialising in the small towable Orkney models such as the Day Angler and Orkney Spinner. Whatever you need, get in touch and we might be able to source it. 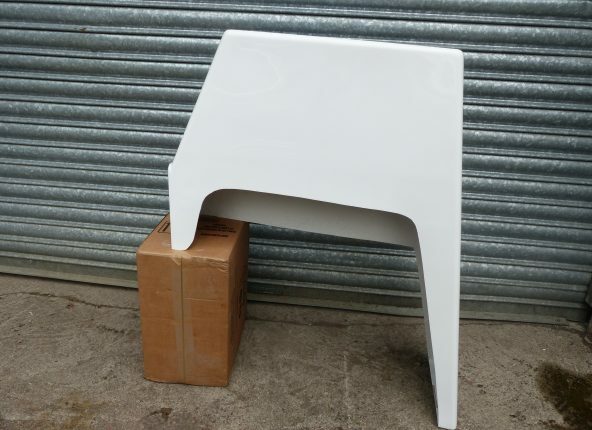 Ordering can be done by letter, telephone or e-mail, at which time you can discuss your requirements. I will confirm the price in writing or via e-mail and on receipt of the deposit I will put the package together for you. 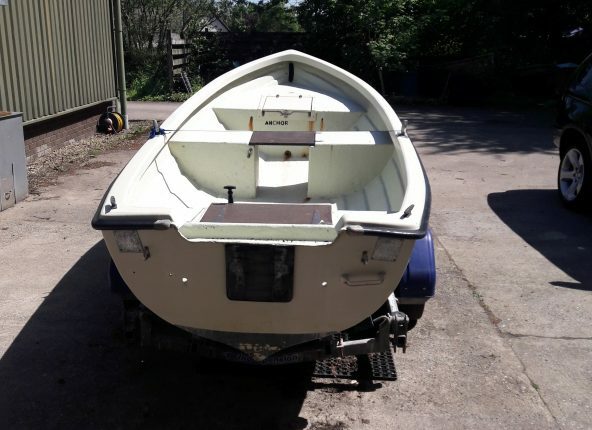 The non-returnable deposit is 25% of the full order price of the boat or package, payable by bank transfer, bankers draft,cash or cheque at the time of ordering. 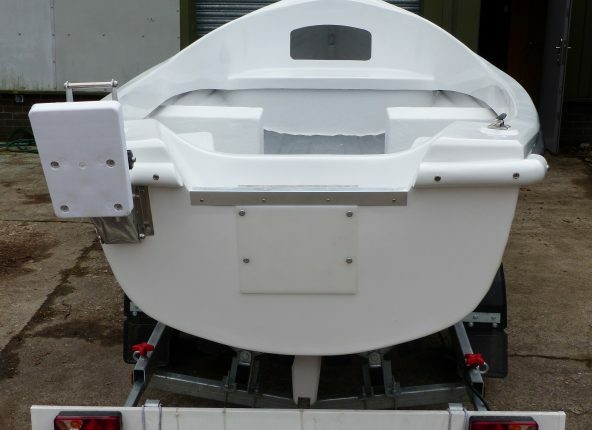 If I have a boat ready which suits your requirements you can pay in full and have it straight away. The balance is due just prior to delivery by the same method of payment. 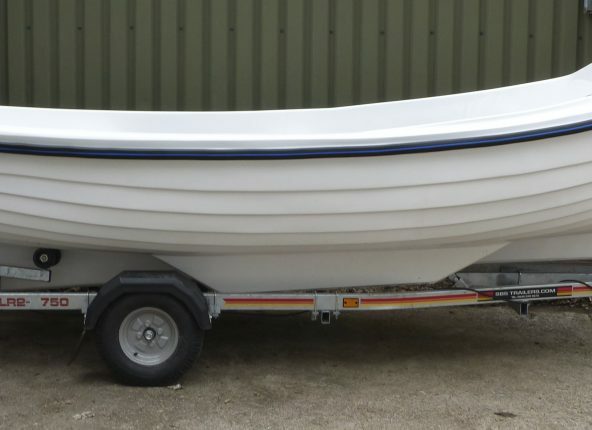 We have been delivering and collected boats all over the country and beyond for the past 15 years. 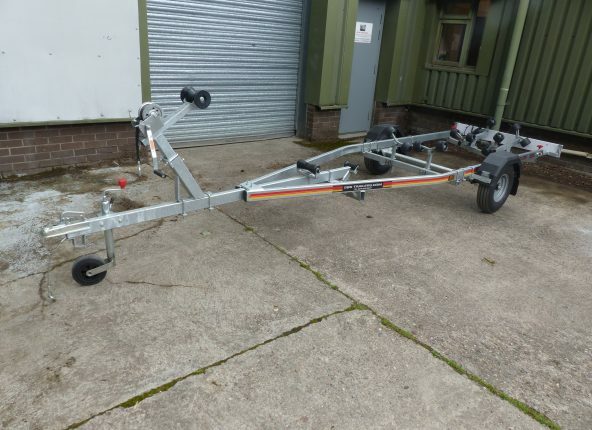 If you have never towed a trailer before or are nervous about doing so then why not have it delivered direct to your door. 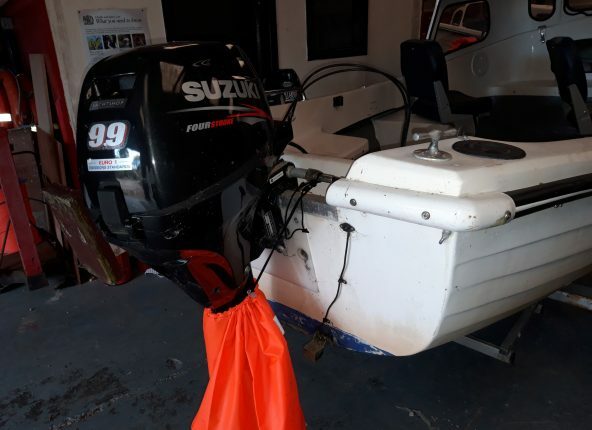 While you will need to learn to tow the boat it is not a good idea for your first experience to be a very long journey of 100 miles or so. Many of our customers are from the Scottish Isles of Skye, Harris, Lewis, Orkney and the Shetlands. These deliveries often involve driving long distances a ferry trip and even sometimes an overnight stay. 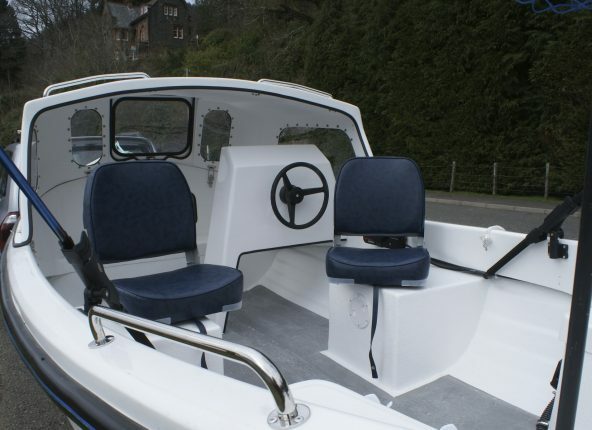 We are prepared to accompany the boat all the way to your door, meet halfway or drop it at a ferry port for you. 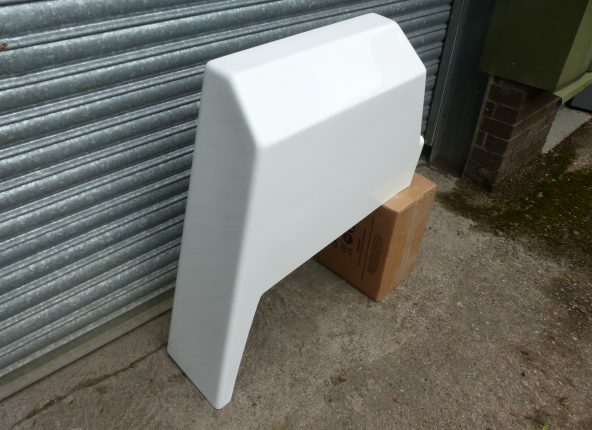 Delivery is normally £1 a mile measured from the factory to you plus any ferry or toll charges involved. 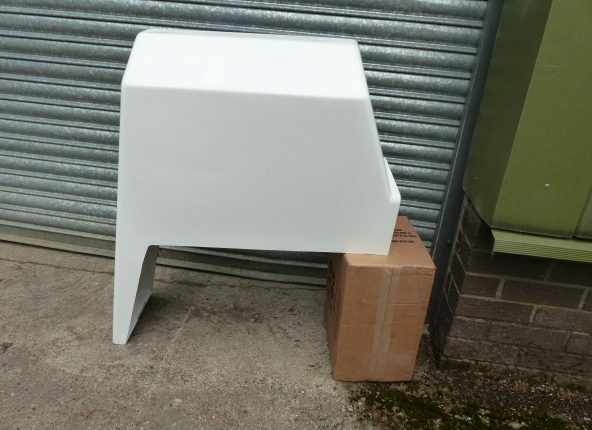 Please enquire for a quote. 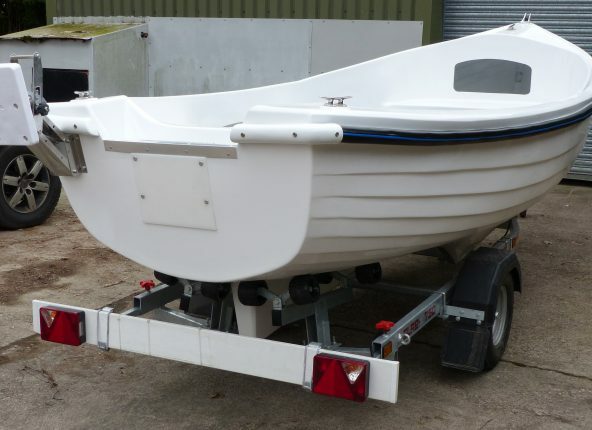 Arran Boat Sales have international freight transport company’s who can transport your boat almost anywhere in the world. 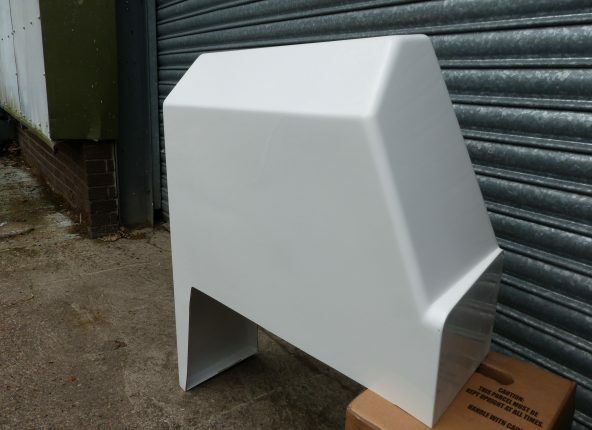 Please enquire for a quote. 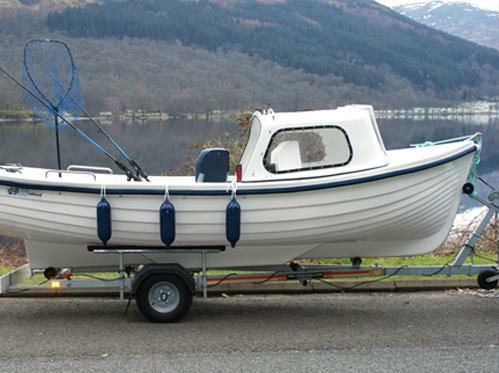 St Fillans in Perthshire, Scotland on the banks of Loch Earn is the home of Arran Boat Sales. It really is a stunning picturesque place to visit. I spend my down time fishing on the Loch for trout surrounded by wildlife. There are two hotels in the village The Achray House Hotel and the Four Seasons Hotel as well as a fantastic new B&B Name of B&B with stunning views. 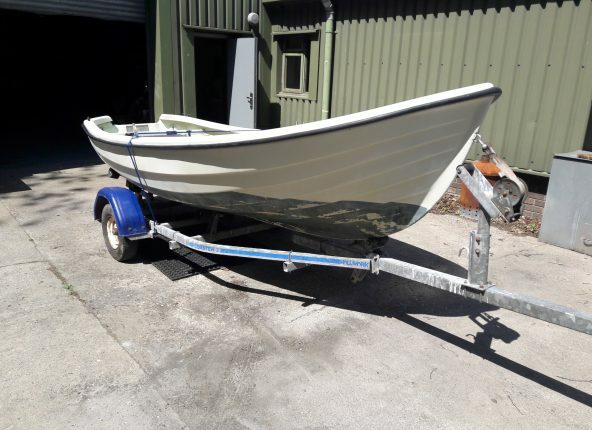 Why not come to collect your boat? 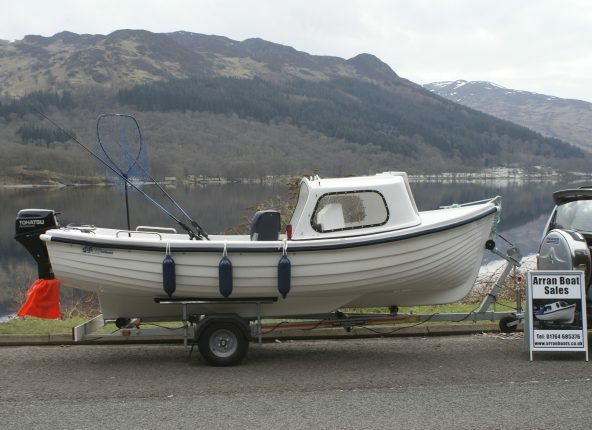 You can visit the village, stay locally and even try your new boat on the Loch. 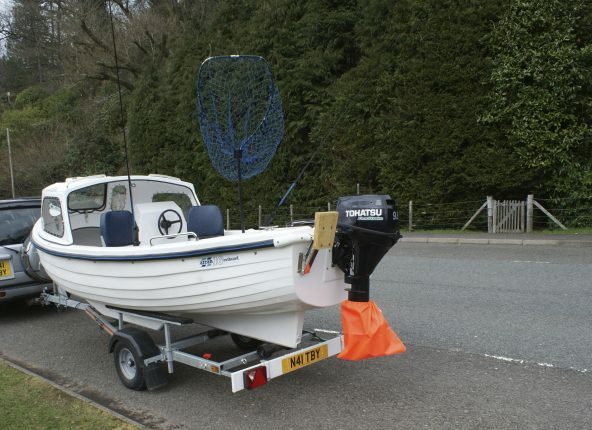 If you are new to boating or simply want some help and advice we can even show you the ropes. We have had customers from Holland and Germany come and do just that. Please visit the link to the village web site for further information on where to stay. 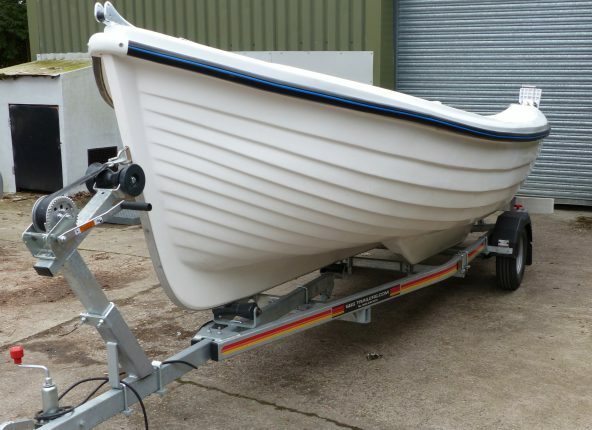 We try to offer our customers a secondhand alternative to buying a new boat. This can be difficult however with Arrans, as they are hard to find. 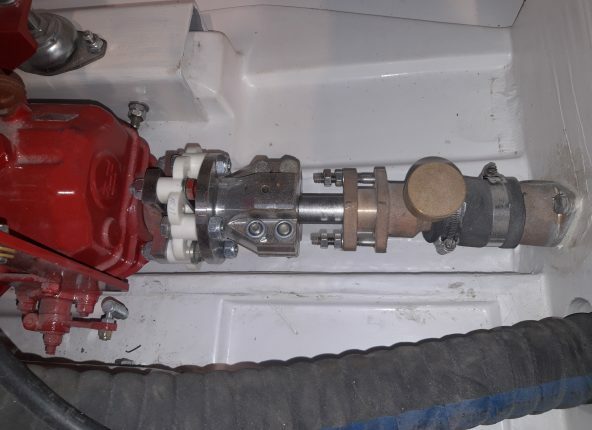 The problem is that once you have owned one you will not want to sell it! 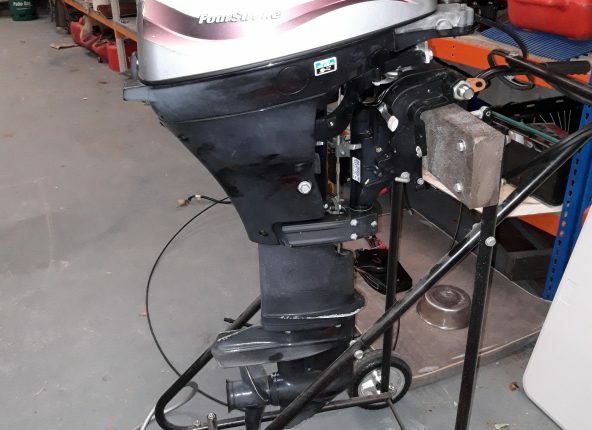 As an alternative to an Arran I recommend and sell secondhand Dell Quay Fisher 15’s, the Shetland 16 and the Robert Ives Fisher 15. 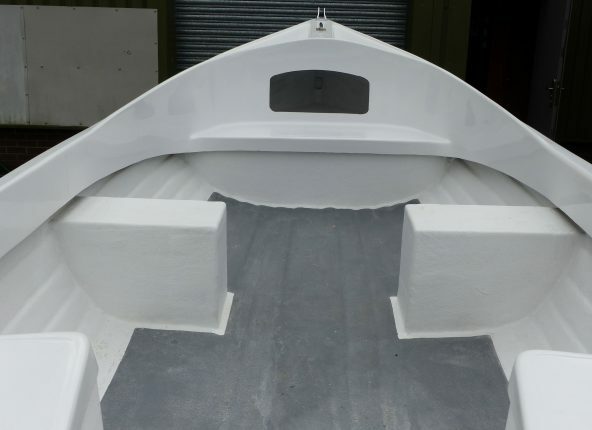 These boats are no longer in production but plenty still exist due to the heavy build quality. 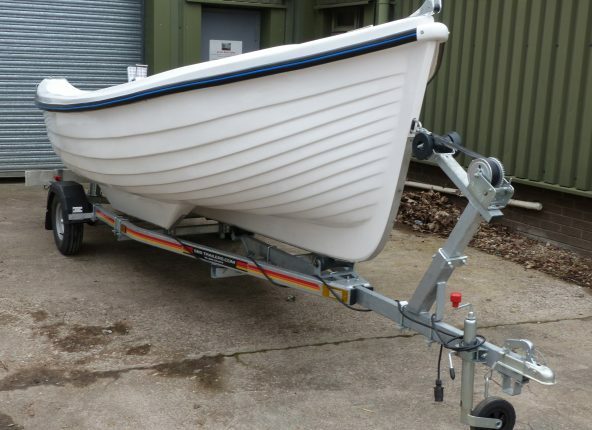 We also specialize in the small towable Orkney models such as the Day Angler and Orkney Spinner. 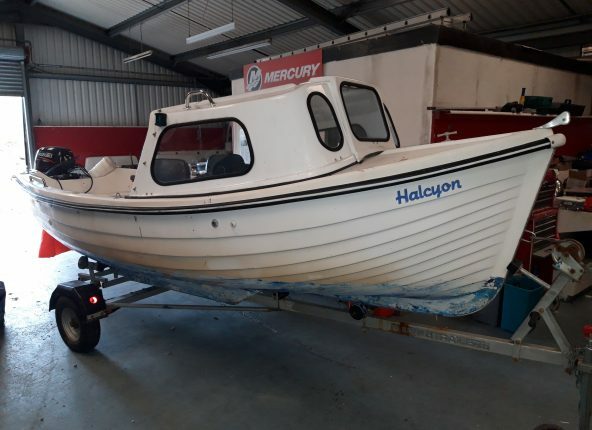 If there is a particular boat not shown you are looking for please feel free to contact us. 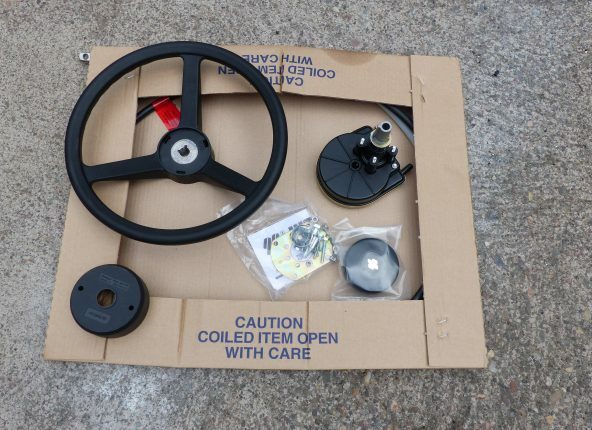 It may have just arrived and not yet on the stock list or I might know where there is one. 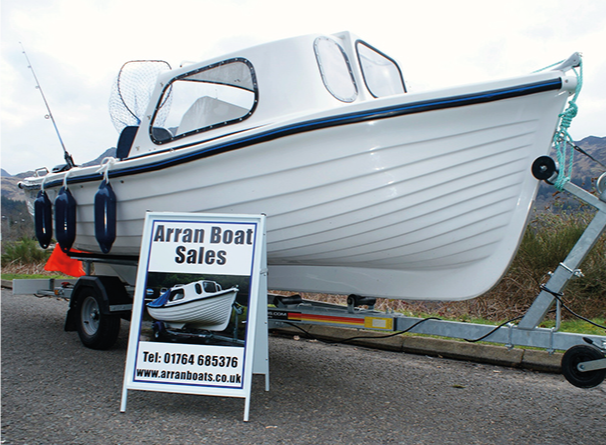 As well as manufacturing new boats Arran Boat Sales also buys and sells secondhand Arran 16s. 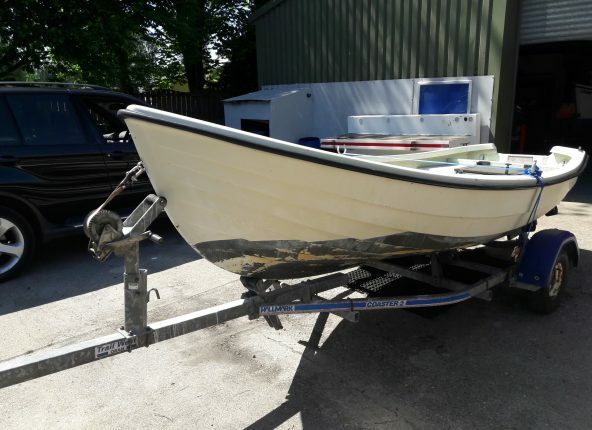 If you are considering selling your boat or want to part exchange it against a new one then please ring or better still email us. 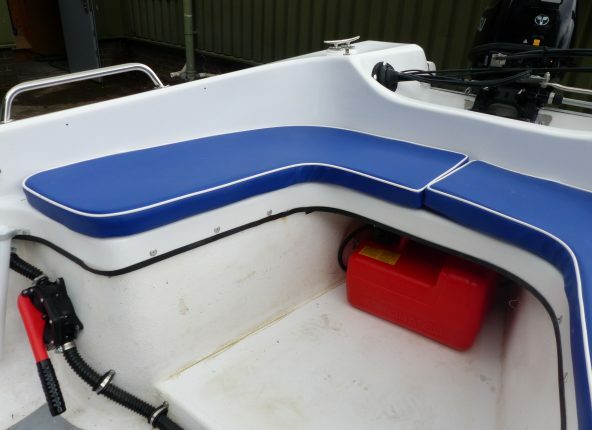 We will ask for some recent pictures so your boat can be easily and accurately valued. 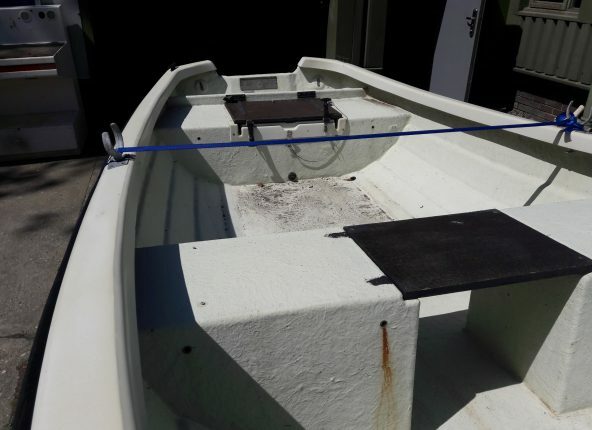 Regardless of the boats age or condition we will take a look at it for you. Like what you see? We'd be grateful if you share this page with anyone else you think would appreciate it too. You can also email a link to this page using the buttons below.